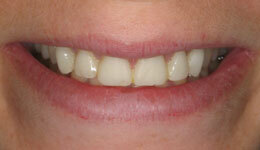 Cosmetic dentistry is the term for a group of procedures that create a more aesthetically pleasing smile. Most people think of teeth when they think of cosmetic dentistry, but cosmetic dentistry is not just for teeth – cosmetic dentistry is also for gums. 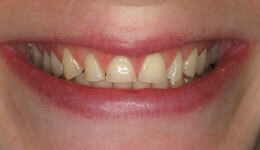 The gums play vital roles in both your oral health and the aesthetics of your smile. 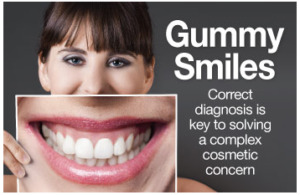 There are procedures to treat gingivitis and different stages of gum disease, but there are also periodontal (gum) procedures that have been developed to fix cosmetic gum problems and to improve the appearance of the gums, therefore improving the smile. Studies have shown that facial symmetry is one of the biggest factors in how we judge beauty, and treating a seemingly minor issue like an asymmetrical gum line can do wonders for a smile. A gummy smile, which is the presence of too much gum tissue causing the teeth to appear short, can be fixed by lengthening the crown through a simple procedure, which removes excess gum tissue and reveals more of the teeth. A Gingivectomy is a surgery which removes gum tissue (gingiva), which is necessary after gums recede from the teeth leaving deep pockets full of plaque and calculus. This preventative measure stops bone decay before it starts, but also works to aesthetically repair the gumline and maintain a healthy smile. 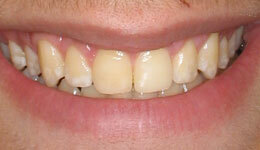 Another common periodontal issue is gum recession. While a receding gum line can cause increased sensitivity and leave the teeth more susceptible to decay, receding gums also cause cosmetic issues, like elongated teeth and asymmetry in the smile. Root coverage procedures like gum grafts can restore the gum tissue where it has begun to shrink away, restoring support around the teeth, improving the esthetics of your smile, and preventing further recession from occurring in the future. Connective tissue grafts are the most common method to reverse tooth root exposure. During this process, a flap of skin from the palate (roof) of your mouth is cut and a flap called a subepithelial connective tissue is removed then stitched around the exposed root. 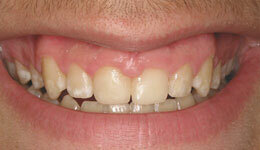 Like most skin grafts, this graft allows for faster healing of the similar tissues, correcting long teeth. What’s more, laser cosmetic procedures like LANAP (Laser Assisted New Attachment Procedure) makes this procedure quicker, more comfortable and faster healing than ever! If you’d like to drastically improve your quality of life, self confidence, and the aesthetic of your smile, don’t hesitate to call our expert cosmetic dentists at Rockefeller Cosmetic Dentistry. Located in Rockefeller Center, we’ll help you elongate teeth by removing your gummy smile, or help shorten long teeth exposed by gum recession. Call us at (212) 581-1091 or visit our consultation request page to book your appointment today.